What Happens at a Social Security Disability Appeal Hearing? You can appeal a decision after your initial application for SSD benefits was denied. The appeal process has several levels, but most require a hearing in front of an Administrative Law judge before approval. The actual appeal process, however, takes at least an 18-months. Due to the Social Security Administration's budget restrictions, there are many disability benefits cases and not enough judges to hear them. The wait can cause many applicants to lose valuable time and financial help, so we recommend applicants use local resources. The Social Security Administration will send you a letter with details about your hearing’s date, time, and location. A judge has the right to dismiss a disability claim if you do not attend the hearing without a good reason. If there is a valid reason for the absence, contact a local Social Security office to reschedule. SSD lawyers can help prepare you for your hearing by providing tips on what questions may be asked and how to tell your story well. A disability appeal hearing can be in-person with the judge or through a video call with the judge. Your attorney will notify you on type of hearing that will occur. The judge will ask you how your disability has affected your daily life and your work life. Witnesses, medical experts or vocational experts can testify for you if you have an attorney. 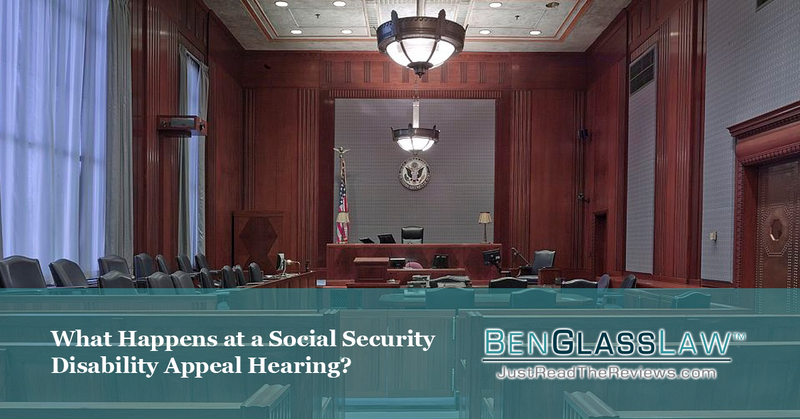 Social Security appeals hearings, however, are not often this straightforward. You must avoid exaggerating your disability. Judges can tell if you are stretching the truth about your medical history. However, you should not understand your disability or limitations. If you do not accurately describe your disability, it will be harder for the judge to approve your disability benefits. Be sure to be clear and answer the whole question. Speak up and tell your judge any additional information on your disability at any point during the hearing if you forget earlier. Most appeal decisions are made 2-3 months after the hearing. The decision will come in a letter. If you are denied, your claim can be appealed through the Appeals Council. An SSD attorney can help you with the next steps to take, and if you need help, contact BenGlassLaw at (703) 584-7277.